There is nothing worse than sitting down with your Apple TV, only to discover you can't get it to turn on. If your Apple TV won't turn on successfully, try these fixes so you can get back to binge-watching. Instructions in this article apply to all Apple TV models. To begin troubleshooting your Apple TV, we need to locate the indicator light; the small LED is located on the front of your Apple TV. Depending on the status of your light, be sure to follow the proper instructions below. 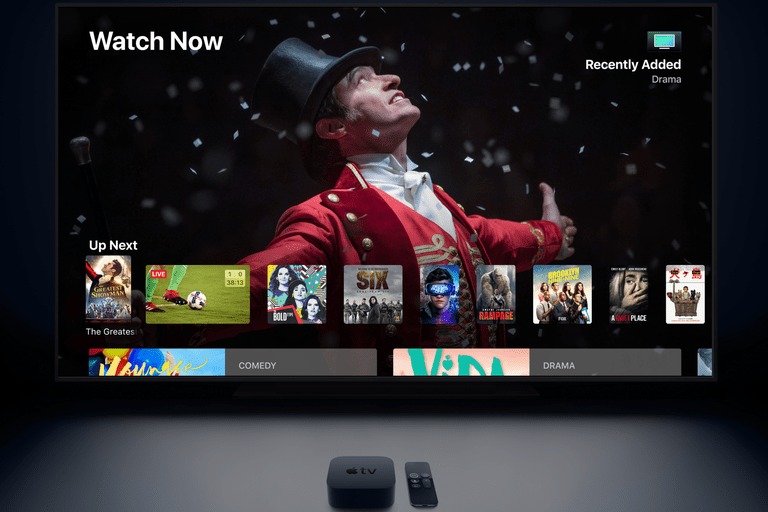 Before continuing, unplug your Apple TV from the outlet, then plug it back in again; this simple process may quickly solve your issue if the Apple TV has merely frozen. If your Apple TV’s status indicator light is flashing and remains as such for more than a minute, it's likely your Apple TV is experiencing a software issue and needs to be restored through iTunes using your PC or Mac. The restore process will remove any content you currently have saved to your Apple TV. If you have an Apple TV 4K, you will need to make an appointment with your local Apple Store to have it restored; it is not possible from home. Begin by unplugging the HDMI cable and power cord from the back of your Apple TV. Launch iTunes on your computer, and ensure it's updated to the latest version. Using the port on the back of your Apple TV, connect the Apple TV to your computer with the appropriate cable. If you have an Apple TV 4th generation, you will need a USB-C cable. Users of any previous generation Apple TVs will need a Micro-USB cable. In iTunes, select the Apple TV icon in the upper left-hand corner. Finally, select Restore Apple TV to begin the recovery process. Once finished, unplug your Apple TV from your computer and plug it back into your television. Start the unit up as usual. If your Apple TV’s status indicator light is stable, the problem most likely lays with your television itself. Try one of these methods to get your Apple TV properly communicating with your television once again. Ensure your television is on the proper HDMI input for the Apple TV. Check the back of your television to see which port your Apple TV is plugged into at the moment. Unplug your HDMI cable from both your Apple TV and television, then plug both ends back in again; this will force the signal to refresh. If you already haven’t, unplug the Apple TV from its power source and reconnect it again, forcing the unit to reboot. Try using a different HDMI cable as the current one you're using may be faulty and the root of your problem. Are you not seeing any Apple TV indicator light up on the front of your unit? Be sure that your Apple TV is plugged into the wall, and the socket is correctly receiving power. If the unit still does not turn on, use a different Apple TV power cord if one is available. There's a limited amount of troubleshooting you can perform at home for your Apple TV. If, after trying the above solutions, the Apple TV still doesn't work, either call Apple’s support number or bring your unit into a local Apple Store for repair, as they will be able to provide proper assistance for their product. If you intend to bring your Apple TV in for service at a local Apple Store, make an appointment online with the Genius Bar; this will prevent you from waiting in the 'walk-in queue' when you head to the store. Where is the On/Off Switch on my Roku? Roku or Apple TV. Which Do-It-All Digital Media Box is Best for You?